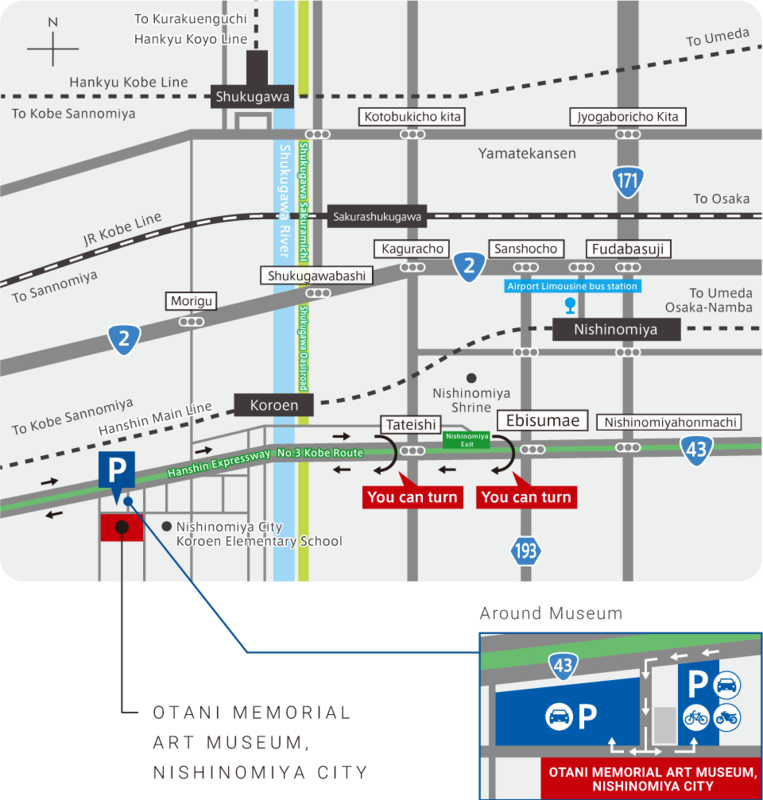 （from Osaka）Transfer to a Local at NISHINOMIYA station and get off at KOROEN station. About 6 min walk toward southwest. （from Kobe）Take a Limited Express to MIKAGE station or ASHIYA station. Transfer to a Local and get off at KOROEN station. About 6 min walk toward southwest. Get off at SAKURASHUKUGAWA station. Walk west along the Route 2 and walk south along the Shukugawa River. About 15 min walk toward southwest. Take a Limited Express, get off at SHUKUGAWA station and walk south along the Shukugawa River. About 18 min walk toward southwest. We have a parking lot (capacity 15 vehicles) between the museum and the route 43, but it could take a long time to park. Also there is a non-parking area around the museum. Copyright © 2017 Otani Memorial Art Museum, Nishinomiya City All rights reserved.